NO pets or children under the age of 14 allowed. Please note that your booking will only be secured and confirmed on receipt of proof of payment. If FULL payment is not received within 2 working days from invoice being provided by email, the booking will be null and void. Check in time: strictly from 2pm - 4pm (arrivals after 4pm by special arrangement only). Please supply us with your ETA (072-0628514), so we can ensure that we open up for you. Check out time: by 11am strictly. 20% Admin Fee charged of full Reservation Value for ANY cancellation - over and above penalty forfeited on Reservation Value. Please inquire regarding our policies for Group Bookings and Long-Stay Bookings. A 50% Non-Refundable Deposit secures group bookings (4 or more people), followed by the balance at least 90 days (12 weeks) before arrival. 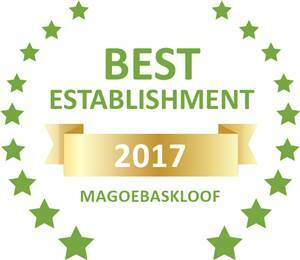 Based on reviews of establishments, Bramasole has been voted Best Establishment in Magoebaskloof for 2017. 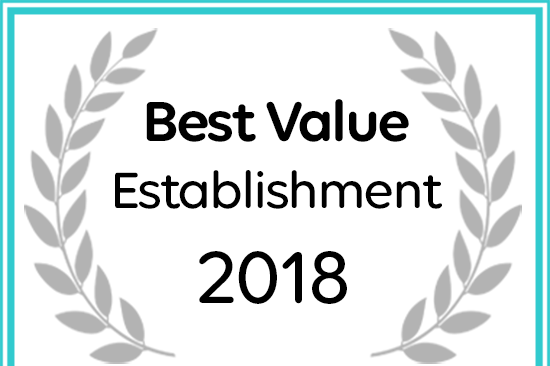 Bramasole Luxury Guest Lodge has received a 2018 award for Best Value Magoebaskloof Accommodation. Copyright © 1998 - 2018 Bramasole Guest House. | Designed and Hosted by Cartmell.